"We conclude that, being unwilling to renounce the use of force, violence and coercion, psychiatry is guilty of crimes against humanity: the deliberate destruction of dignity, liberty and life. Most of all through the legal category of "mental patient" which permits a total deprivation of human and civil rights and the laws of natural justice." Those are the opening words of the 1998 verdict in the Berlin Foucault Tribunal, so far the only political effort to bring coercive psychiatry to trial for violation of human rights world wide and the first time an academic institute (the Free University of Berlin) supported an inquiry into the question of human rights in psychiatric coercion. It is also a verdict composed by an international group of people who were persecuted, incarcerated and tortured by psychiatry. In this film program we will use those definitions as a prism to examine how films reflect and promote those violations of human rights by psychiatry. The legitimacy given to psychiatry to use force has its roots in the historical political climate of its foundation: Europe at the beginning of the 19th century, the first chair for psychiatry was created at Jena, Germany, in 1800. We can call this "internalized colonialism". The moral theological justification used by Europeans from the 15th century onward to conquer and massmurder non-European nations declaring them "heathens" was used inside Europe and against its inhabitants. Replacing the Christian religion, the new European religion of science and medicine allowed the persecution, incarceration and torture of those who did not comply with the new modern definition of a "human being", i.e. white heterosexual males. The "other" was now to be found right at home, its persecution couched in biological - medical reasons and justified as public health policy for the sick person. Incarceration turned into professional help, torture was renamed medical treatment, and the right to human status was denied based on the biological medical term "sub-human". We divide the term "force" into 2 categories. One is the brute force of locking people up in psychiatric institutions indefinitely. The other one is the subtle use of language. It is easy to subject persons to bodily acts and intrusions by brute force once they are locked up arbitrarily in psychiatric institutions. This was used by filmmakers, such as Sam Fuller for example in 'shock corridor', as an allegory of society. The brute force to lock up the "socially undesirable" which psychiatry is endowed with can be seen in Ernst Klee's film "Die Hoelle von Ueckermuende", which looks into a psychiatric institution in what was formerly East Germany. 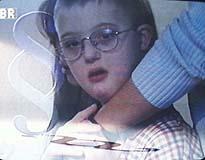 In this case the "undesirable" are children with physical deformities. Through Lars von Trier's 'Idiots' we demonstrate that the subtle force of psychiatry lies in the use of the medical language, the professional help jargon which entraps even those who voluntarily seek solace and ease from pain. Instead they thus lose their right for self-determination since the society sees them only through the demeaning medicalised terms of 'patient' and 'illness'. Haakon Sandoy's 'For Your Own Good' brings the story of the Norwegian Arnold Juklerod, imprisoned in Gaustad Mental Hospital, who refuses to leave without being declared sane and have his diagnosis of schizophrenia be deleted. His struggle conducted by camping in a tent in front of the psychiatric institution won him many supporters from the Norwegian public. He died at the age of 71 without accomplishing his aim. The section about violence and psychiatry deals with the initiative and decisive role German psychiatry had in the medically based genocide in the nazi era, the so-called "Holocaust". It is still a less known fact that German psychiatry continued the extermination of psychiatric prisoners until 1948, mostly by starving them to death until the intervention of the American authorities put an end to it. Nizan Aviram's film 'Healing by killing' tells how as early as 1940, during the so-called "mercy killing" murders, medical doctors and scientists developed the first model of the gas chamber and crematorium. It is estimated that between 70,000 and 100,000 German psychiatric prisoners were executed in what was called 'Aktion T4'. This documentary probes the roles of physicians and psychiatrists in the early murders as well as their eventual implementation of the "final solution." When the euthanasia operation was officially brought to a halt, the experienced euthanasia doctors were transferred to Poland to consult, plan and build the industrialized death-camps. The film portrays the lives of two such doctors. One is Dr. Irmfried Eberl, a young physician who acquired his professional skills in the course of the "euthanasia" murders and became the first commander of the Treblinka death camp; the other is Prof. Carl Clauberg, a renowned gynecologist who abandoned his fertility treatments in order to experiment in sterilization at Auschwitz's notorious Block 10. Among those interviewed are an SS doctor who served at Auschwitz, the photographer of Mengele's experiments, and people who where sterilized, castrated or tortured in the name of science. Ernst Klee's 'Sichten und Vernichten' brings the original film material from the nazi area about the killings in the German psychiatric system. 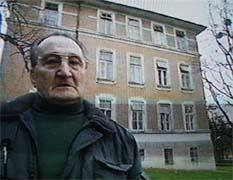 The TV film 'Unheimliches Wiedersehen' brings the story of Friedrich Zawrel, who as a boy was locked up in the Viennese psychiatric institution 'Spielgrund' in the ward of the infamous Nazi psychiatrist Dr. Heinrich Gross. Zawrel reconstructs the horrors, tortures and humiliation suffered by the children in this ward before they were eventually killed by the psychiatric staff. Despite his proven participation in the murders Dr. Gross is still a free man in Austria. 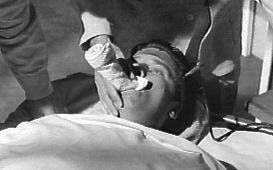 Filmmakers did not regard lobotomy as a medical treatment or a cure as psychiatrists claimed it to be, but used it as metaphor for "Gleichschaltung". "Gleichschaltung" is a Nazi term meaning the homogenization of minds i.e. coercion. Thus lobotomy become a symbol for the persecution of persons for their independent mind, their unconventional way of life and free spirit. The most famous example for this view is Ken Kesey's book "One flew over cuckoo's nest" of 1962, which was made into the celebrated Milos Forman-Jack Nicholson film in 1975. We will show the less known 1982 film "Frances" by Clifford Graeme starring Jessica Lange. 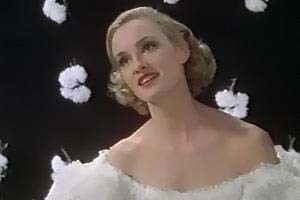 The film is based on the true life story of Frances Farmer (1914-1970) who had a promising career in Hollywood and Broadway in the early 40's. Her arrest for drunk driving brought her, by order of the court, under the control of psychiatry where the free spirited and independent Frances was punished by insulin shocks and lobotomy. 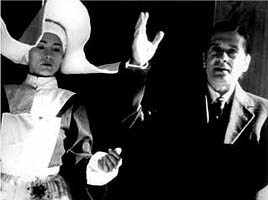 As a contrast, we show the 1999 Spanish film "Monos como becky" by Joaquin Jorda and Nuria Villazan which is the story of the Portuguese psychiatrist Egas Moniz (1874-1955). The infamous "inventor" of lobotomy in the 30's, for which the academic world rewarded him with a Nobel prize for medicine, was murdered by one of his victims. His life story is told through a play performed by a group of psychiatric prisoners inside a psychiatric institution. There are many elements which define "crime against humanity" : The scale of the crime, the legitimacy given to the crime by law, the participation of the state in the crime, etc. But the main point which defines crime against humanity is the denial of the status as a human being, based on a fictional biological defect, from groups of the population who are accordingly victimized for scientific-medical reasons. The category of crimes against humanity is reflected in the eugenic methodology and its outcome, the killing of the unwanted in the name of medicine and science. We present the chronology of eugenic ideas and the way euthanasia propaganda is reflected in documentaries and films. 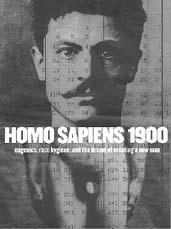 We start with "Homo Sapiens 1900", the 1999 Swedish documentary by Peter Cohen. The story of the eugenic ideas from their beginning in the late 19th century to the middle of the 20th century through 4 national perspectives: Sweden, USA, Germany, and the Soviet Union. 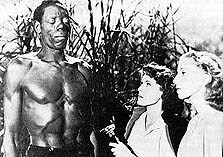 The film contrasts between the role eugenics played in Nazi Germany, where the regime's declared goal was to form the perfect beautiful human body, and the Soviet Union, where it was used to create the geniuses of the future society. Eugenic in the USA was naturally used against the blacks, the newly-arrived immigrants and the poor. 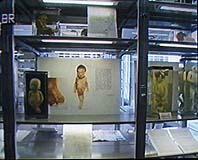 Sweden presents a different aspect: Although eugenic ideas, which includes sterilization of the "genetically unfit", were the norm until the 1970's, the film claims that no force was employed to implement them due to Sweden's democratic society. 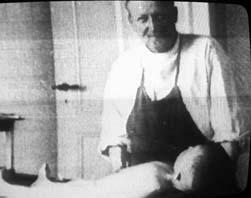 The aspect of forced female sterilization in the Nazi era is depicted in the documentary "Was habt ihr uns Frauen angetan", a narrative of several women Survivors. The next stage is the propaganda feature film promoting the "mercy" killing of those whose lives are declared 'not worthy of living' by doctors and psychiatrists. Early American (silent) films advocating the killing of babies are presented in "Homo Sapiens 1900". The most famous straightforward propaganda film is undoubtedly the 1941 German film "Ich klage an" by Wolfgang Liebeneiner. 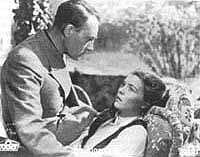 The film was produced by order of the government as a response to the criticism of some sections in the German society to the psychiatric euthanasia murders which started in 1939. The film uses all the well-known eugenic arguments about "life not worth living", "killing as healing" and "deliverance from misery". In sharp contrast to the straightforward propaganda of this German film, we show the 1943 Hollywood gothic film "I walked with a zombie" by Jacques Tourneur. Underneath the bizarre story of voodoo rituals in the Caribbean Island lies the story of a beautiful mental patient whose life is "not worth living", and the only solution that can be found for her "condition" is to kill her in an "act of mercy", thus "relieving" her "of the burden of living". To those who find the parallel unfounded: We remind them that in 1941/42 the American journal of Psychiatry debated the question of euthanasia in USA and decided in favour of it. In the July 1942 issue, under the headtitle EUTHANASIA, the editor(s?) summarize the debate in favour of killing thus (p.143) "If euthanasia is to become at some distant day an available procedure, enabling legislation will be required." Attention! "Ich klage an" is a Nazi propaganda film, which in Germany can legally only be shown in a scientific context for educational purposes. 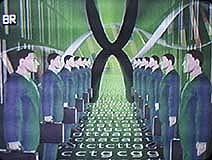 The biological thinking and its outcome which is the foundation of eugenics and psychiatry are identical all over the world, but the consequences differ when psychiatry is given the force, by the state and the legislator, to employ it. Science which is not based on Human Rights is again and again used by the authority to persecute, suppress and oppress the weak. We conclude the program with 3 TV films by Sylvia Mathies which bring the issues of eugenics chronologically up to date in the form of " prenatal assessment".